Very good. Slight shelf wear to surface of cover. Otherwise new and unread. Very Good. Text in English, Latin. Trade paperback (US). Glued binding. 352 p. Oxford World's Classics (Paperback). A translation of Augustine's impassioned descriptions of his early life, in which he tells of his wrestlings to master his sexual drive, his ascent from a humble Algerian farm to high power at the Imperial court and, finally, his conversion to Christianity in a garden in Milan. Good. Text in English, Latin. Trade paperback (US). Glued binding. 352 p. Oxford World's Classics (Paperback). A translation of Augustine's impassioned descriptions of his early life, in which he tells of his wrestlings to master his sexual drive, his ascent from a humble Algerian farm to high power at the Imperial court and, finally, his conversion to Christianity in a garden in Milan. Very Good. 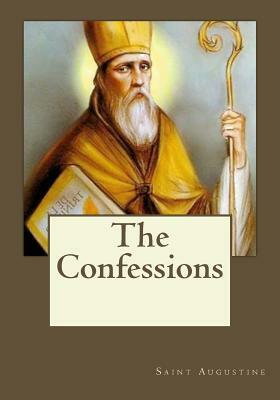 Confessions by Saint Augustine, 2011-03-01. Trade paperback (US). Glued binding. 360 p.